Many of us are carrying a concealed handgun for self-protection these days, but are we prepared for an encounter that does not rise to the use of deadly force. A less than lethal force option is recommended by all so that you have more options than just using deadly force. The old saying “when all you have is a hammer everything looks like a nail” applies here. Statistics put out by law enforcement agencies state that you are 10 times more likely to encounter an event that does not qualify for the use of deadly force than one that does. Collapsible Batons and Stun Guns are illegal in Pueblo, see Pueblo City Ord Sec. 11-1-601. Pepper spray is not mentioned in the ordinance and most experts consider it to be the best of the less than lethal options anyway. Colorado does not have any state-specific laws that restrict purchasing, carrying or using pepper spray as a self-defense tool. One of the things that people forget about Pepper Spray is that in self-defense situations where you might wonder if you should pull your gun, pepper spray gives you some extra time to make good decisions. Making good decisions in self-defense situations is one of our big discussions in class. Having a less than lethal option at your disposal will give you the chance to make better decisions or just time to get away. My choice and what I recommend to all my students is WildFire Pepper Spray, this is the most powerful spray tested by a laboratory so we know the results are correct. This spray is 1.4% Major Capsaicinoids. Major Capsaicinoids (MC) are the chemical components of peppers that make them hot. Measuring by MC is a laboratory conducted and very accurate test for gauging hotness. Oleoresin Capsicum is the oil extracted that contains within it the Major Capsaicinoids. I am a dealer for this pepper spray and it comes in a convenient easy to carry inexpensive size. These sprays make great gifts for loved ones who can not carry a gun at work or those that have to walk to their cars maybe even in the dark. Runners and bicyclists love these sprays. I’m hearing it again from my students who are uneasy about carrying a live round in the chamber of their EDC (Every Day Carry) pistol. First, the only way to ever change this situation is to become more comfortable with your EDC firearm. Some people find that carrying a gun with a manual safety can help. Others find that carrying their concealed carry pistol loaded at home at all times can help get them comfortable with it. Shooting your handgun more often will help tremendously and of course, we need to shoot more anyway. Over time you become more comfortable with your gun and at some point, you should be able to rationalize that your firearm cannot discharge unless your finger touches the trigger (rule #3) and of course as long as it’s in a proper holster that covers the trigger and trigger guard. The other problem with this “Concealed Carry Without A Chambered Round ” mindset is that because you are not comfortable with your everyday carry (EDC) gun you are more likely to fumble and break safety rules during a high-pressure situation and possibly hurt yourself or someone else by accident in the process. Recently in the local King Soopers shopping center a (local grocery store), there was a negligent discharge in the parking lot which of course management of the store denied, but I had a student in the parking lot when it happened. People who aren’t comfortable with their loaded concealed carry gun sometimes check it to see if it’s loaded. Sometimes they either load or unload the gun depending on their situation and apparently, this person did it with their finger on the trigger discharging their firearm in an unsafe manner. This gun might have been one of those small Kel-Tec Pistols or Ruger LCPs that we see all the time in class and they are hard to handle. Most people handle them improperly and sometimes put their finger on the trigger. We also see the holes in the bench tops of our local indoor range where people have racked their firearms with their finger on the trigger and discharged a round into the bench top (OOPS). I know of another case in Colorado Springs where it happened in a movie theater. These people are so nervous with the loaded gun that they can’t remember if it’s loaded or not so they keep checking it and in this case the index finger was on the trigger and the gun went bang. This person was arrested of course and was charged with several infractions of the law. When I put my gun on in the morning I know it is loaded. I don’t take it out in public and check it. Playing with your gun at any time in public is a bad idea. Administrative handling of your handgun should be done when you put it on and when you take it off. Administrative handling would be the manipulation of the firearm that isn’t specifically shooting. This would include weapon disassemble, holstering, chambering a round or removing a round. Remember the FBI stats that the industry quotes for concealed carry (3-3-3). Most self-defense incidents happen within three yards (10ft) are over in three seconds or less and with less than three fired being rounds. We all understand the basic concept of the Tueller Drill where Dennis Tueller studied in 1983 that a person can travel 21 feet with the contact weapon in their hand and do it in approximately 1.5 seconds. If most self-defense incidents happen within 3 yards that’s half the time and distance. I don’t know about you but I would be willing to bet that most of you can’t draw and rack your gun in .75 seconds. That sub-one-second draw is a once-in-a-while proposition for most let alone having to rack a gun so it’s ready to fire. Let’s remember why we carry a concealed carry weapon. We carry a concealed carry weapon to be prepared. How are you going to be prepared if most incidents happening in close quarters and are over before you could possibly rack a round into your gun. Concealed Carry Without A Chambered Round should be considered very dangerous. 36 seats available for this class. Only 5 return student seats available. Contact Hershell22@gmail.com for these seats.  A two day, 20 hour immersion course in the use of the defensive handgun under extreme stress. Draw from concealment, two-handed stances, shooting from cover, one-handed stances with either hand, speed reloading, and more are taught with an overall emphasis on fast, accurate shot placement. The course will culminate with a police-style qualification course. Come prepared to leave a better shooter under stress. July 13th – 14th MAG 20 Armed Citizens Judicial use of Lethal Force Seminar. Unlimited Seating. Massad Ayoob, founder of the Massad Ayoob Group, needs little introduction in shooting circles. Mas is one of the best known self-defense and firearms trainers in the world. He has been teaching police officers since 1974, and civilians since 1981. His landmark book, In the Gravest Extreme, continues to be one of the best texts on the civilian use of lethal force. 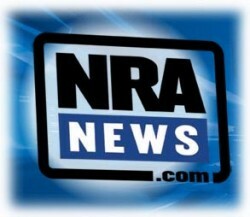 Mas routinely consults and testifies as a firearms and self-defense expert across the country. In addition to his legal acumen, Mas is a skilled shooter, being one of only eleven people in the world to earn a Five Gun Master ranking in IDPA. What an outstanding opportunity in today’s climate to gain this knowledge from a world leader in the firearm arena. Once Registered you will recieve additional information, Lodging, Location, and other pertinent information.